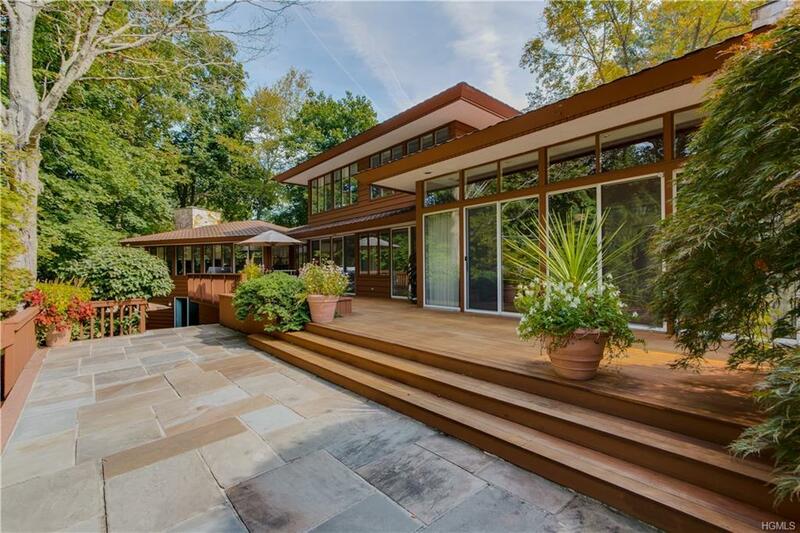 Striking Frank Lloyd Wright inspired contemporary on prestigious Round Hill Rd blends nature and architecture. 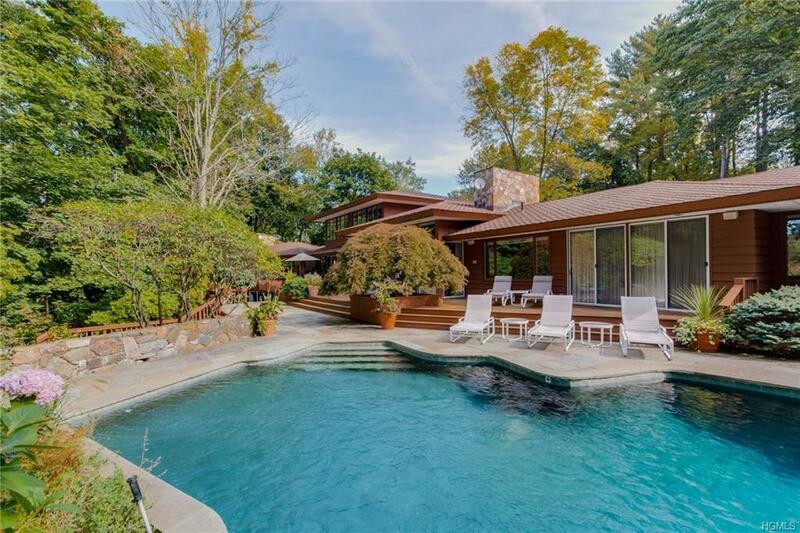 The tranquil setting includes exquisite lush landscaping with specimen trees, walls of windows that provide an abundance of light, expansive decking overlooking Gifford Lake, custom pool and fire pit. The living room and family room have floor to ceiling stone fireplaces. The main level master suite includes a study with fireplace, sliding glass doors to deck and pool, wall of closets, master bathroom with marble steam shower, Jacuzzi tub, separate water closet and custom double vanities. The opposite wing includes two en-suite bedrooms. The second floor consists of three bedrooms and two bathrooms. 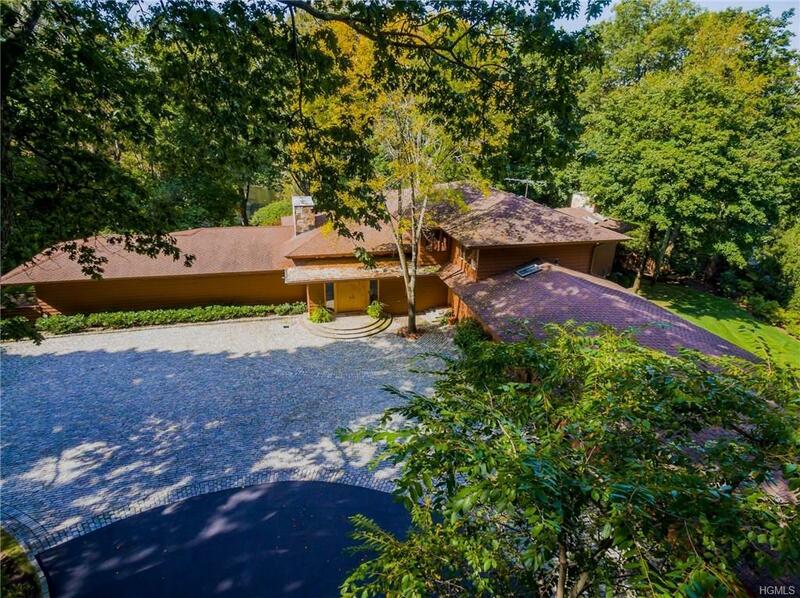 Plenty of space in the lower level makes it perfect for entertaining movie theater, gym, entertainment room with fireplace, bar and kitchenette. The perfect retreat! NOTE: Taxes are approximate based on new assessment. 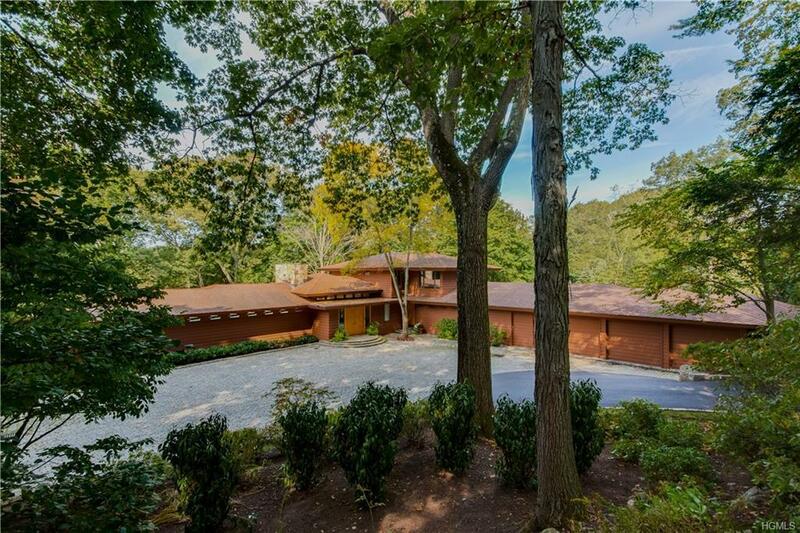 Listing courtesy of Carol Berkowitz Beck of William Raveis Real Estate.